Your all-time favorite Czech tennis player? Personally, I’ve always been a huge fan of Radek Stepanek. One of the last players to play the old school tennis, fun on and off the court, loves the game, has an incredible variety and a great touch. 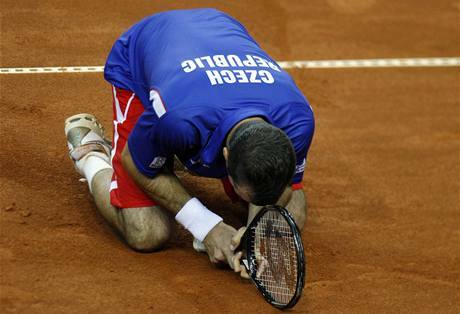 Left his heart out not only in those Davis Cup matches. He hasn’t achieved much relatively to some of his compatriots, but his entertaining playing style and personality trumps all that. Who is your favorite, if any? On the other hand, who do you dislike? Hana Mandlikova. Now there's one Czech I'd like to see bounce. Option reserved for Nadal haters. Likes: Phoenix1983 and vive le beau jeu ! One of Djokovic's best bunnies. And I've read he's a trifle upset he gets no plaudits, praise or recognition these days: "I tink dat people tink I'm just a coach and never played myself." (in Ivan's accent). Off the court, Lucie always seems like such a sweetheart, and both Martina and Ivan are legends who I admire, but I'm going to throw a vote to Hana Mandlikova - powerful, graceful and another Hall of Famer. How is Korda not in this poll? As a long-standing Wimbledon fan I have to acknowledge Navratilova's unsurpassed record there. For the same reason, I would add Novotna (sadly no longer with us) although not listed. Other Czech players I like or liked include Mandlikova, Stepanek, Safarova and Kvitova. I always respected Lendl's ability and achievements but can't say I was ever fond of him although I warmed to him more after his successful coaching partnership with Andy M.
I voted Lendl, but Mandlikova should have been there too. One of the most talented player I've ever seen, right up there with McEnroe. If you had said Czechosolvak instead of Czech I would have said Miloslav Mecir (though I was a big Lendl fan too). One of the very few guys I really miss seeing. Gone with Kvitová. Incredible player and what an amazing person. Mecir, Lendl, Navratilova ... Gosh, too many of them but THE OSCAR GOES TO RADEK STEPANEK, THE SEXIEST MAN ALIVE . Radek is just too funny. I love his unorthodox style. Very good player. What about Jaroslav Drobny, also an Olympic ice hockey player? It's amazing how many incredible players hail from there... but of course, Ivan rules them all! He revolutionized the concept of fitness in tennis and it took it an entirely different level. I still lament he choked away so many slam finals. Dominik Hasek of course. But seriously, I didn't get to watch many of these people play, so I can't really say, but I do like Berdych for the simple fact that he will always go down as forgotten. I used to hate Berdych, but after all the dust settles, he had an amazing career, and if you were to take one or two of the best players of all time out of his Era, he would have several slams. Actually if you think about it, Berdych has 9 losses against the big 3 in the quarters or later. If you want to include Murray, that would be 12 losses in the quarters or later. Then again you could argue that shows he could not even do it once such as Cilic or Del Po. Either way, I do put him in the top 10 players over the past decade, that's still pretty impressive. As a Rosol and Nadal fan, I have to say that this is the greatest tennis match of all time. Kvitova. Great game to watch and a total class act. I think in a bit unfair to say Ivan choked his early slam finals against a bit older and more experienced ATG players: Borg, Connors and McEnroe. He had to deal with other ATG players: Becker, Edberg, Wilander, Agassi and Sampras. IMO, there was more high quality top 10 players in the eighties and nineties, than there are today, beyond the top three ATG. Martina by a good margin. 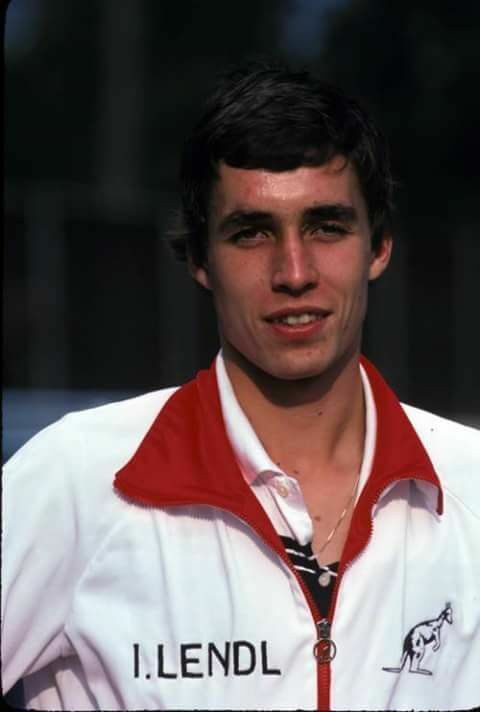 But Lendl was cool too. Kvitty all day everyday! I enjoy her game and watching her dominate on the courts. She is truly a champion and to have gone through the tragedy of what she went through. She returned to the sport and plays at pro level? Racquet Claps!! Martina will probably beg to differ with you on that one (and rightly so). I knew someone would say that. Of course she was awesome; probably still the best woman's player overall, despite what some stats may say otherwise. Which Czech men's player won the most Wimbledon singles titles? Quite right. Lendl had to deal with Connors / Borg / Mac / Vilas at the beginning of his career, then Wilander / Edberg / Becker in the middle, then Sampras / Agassi towards the end. There wasn't any so called "weak era" during his entire career. Lendl. Greater than McEnroe, Wilander, Edberg, Becker, and every other player of his generation. The grandfather of todays game. Berdych. Sure he didn't revolutionize the game in an obvious way like Lendl, but in a way he did. Never seen a 6'5" player with such a combination of speed & power. Kodes was the only Czech player to win Wimbledon which he did during the famous players' boycott in 1973. Drobny, who was originally Czech, won the title in 1954 but he was an Egyptian citizen at that time (later became a British citizen). Lendl made back to back finals in 1986-7. Berdych made the final in 2010. Drobny - 1, in his early thirties beat 19 YO Rosewall in the 54 final. Interesting though he is listed as Egyptian in the Collins book, as he had left Czechoslovakia to evade Communist rule. Drob is usually thought of as a Czech player....I wonder if he kept his Czech citizenship after acquiring Egyptian. The 1973 was a one-off lucky field win, but there were some good players in the field, like Connors and Nastase. None, but voted Martina. I have huge respect and admiration for her achievements.